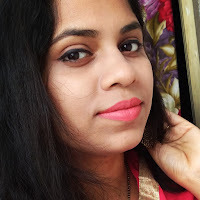 Have you seen my recent Wet n Wild haul from nykaa..? If not, then visit my instagram..
Nykaa has launched wet n wild products recently and I can't control my excitement and ordered few things. Wet n Wild products are really affordable and of good quality too.. 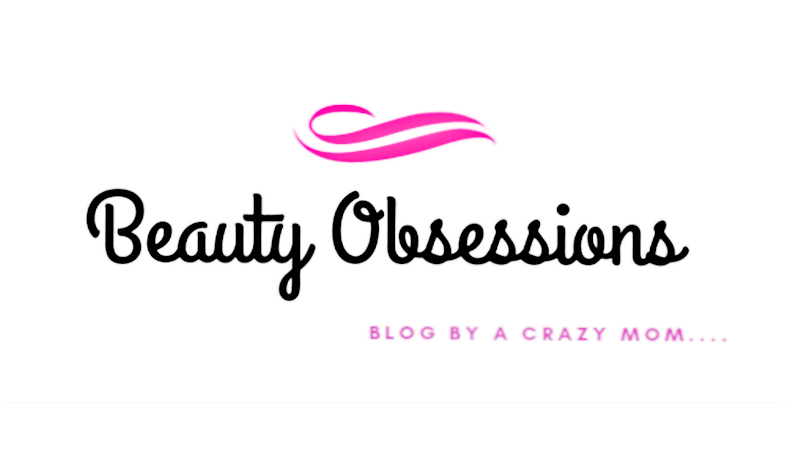 I have never tried any product from the brand yet but have heard good reviews on them. I am loving matte lipsticks these days , hence ordered the catsuit matte liquid lipstick from wet n wild along with few other stuffs.. 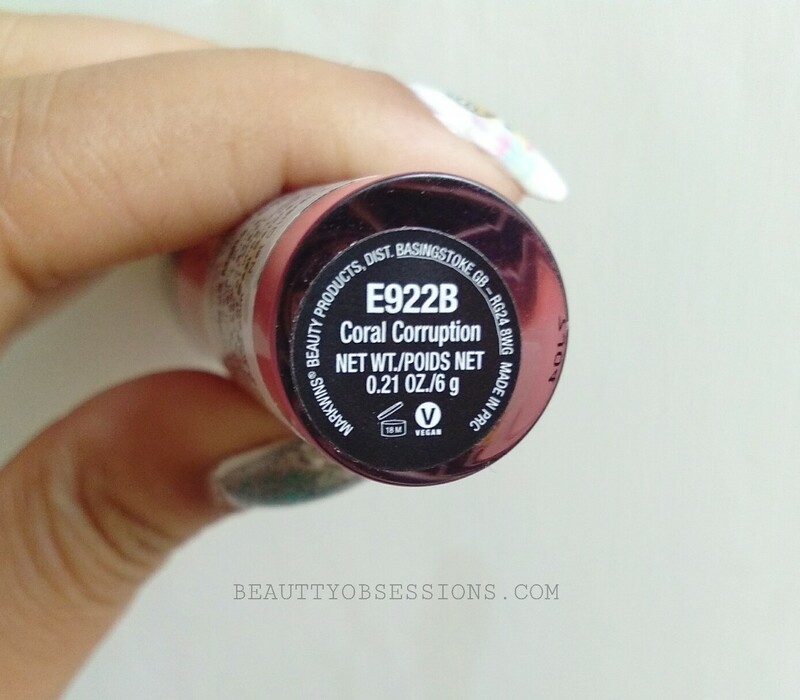 I have got the shade Coral Corruption which is a very pretty bright coral shade. 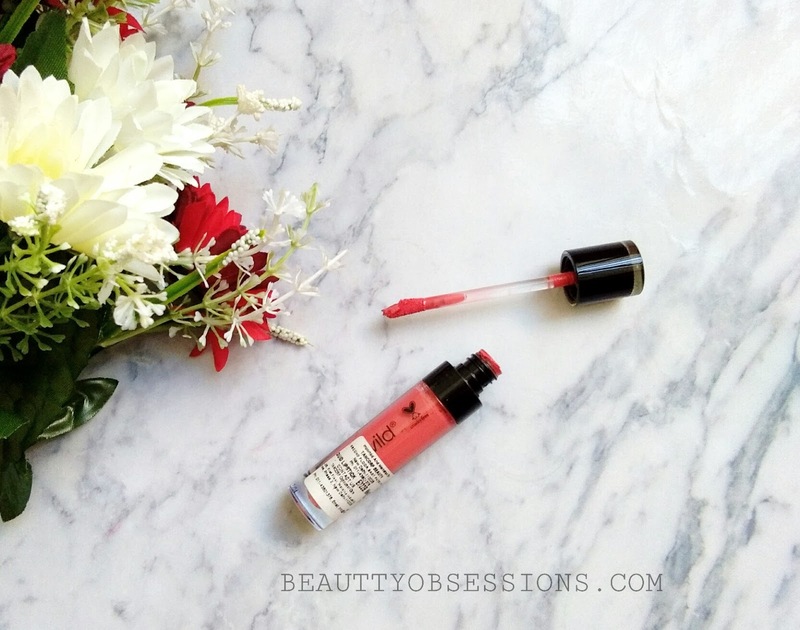 Let's discuss more about this liquid lipstick. Price - Rs499/- for 6gm. 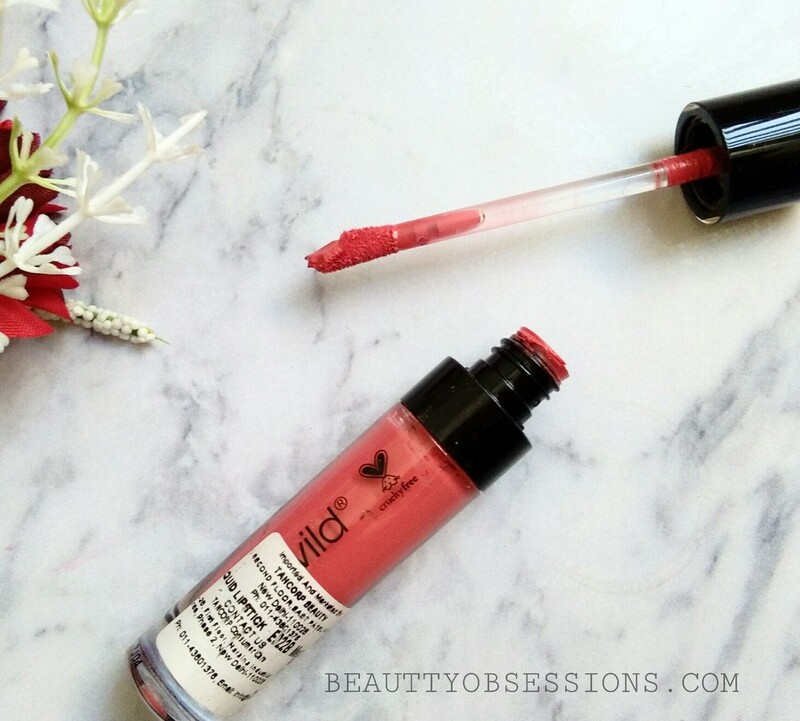 Packaging - The catsuit megalast matte liquid lipstick comes in a colour coaded packaging which is really a good concept. The applicator is of very good quality and I just love the wand.. The shape of the wand is so perfect to pick proper quantity of product for each application. I like the packaging.. Shade & Texture - The shade Coral Corruption is a beautiful bright Coral shade with orange undertone. 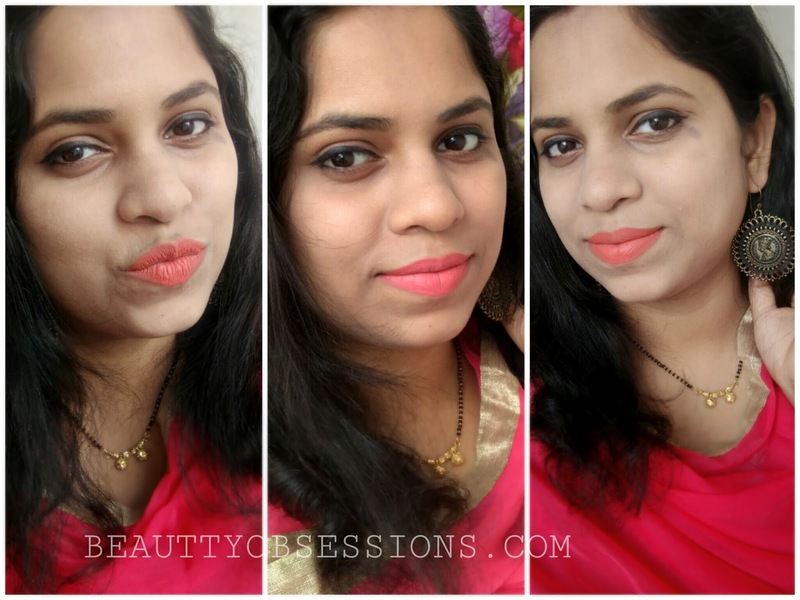 Initially it looks like neon-ish coral on lips, then after few minutes it settles into a subtle coral shade . It has mousse consistency.. The texture is good. It feels sticky on lips initially, then after dried up ,the stickiness vanishes out. It might sounds strange to you but it's the reality . 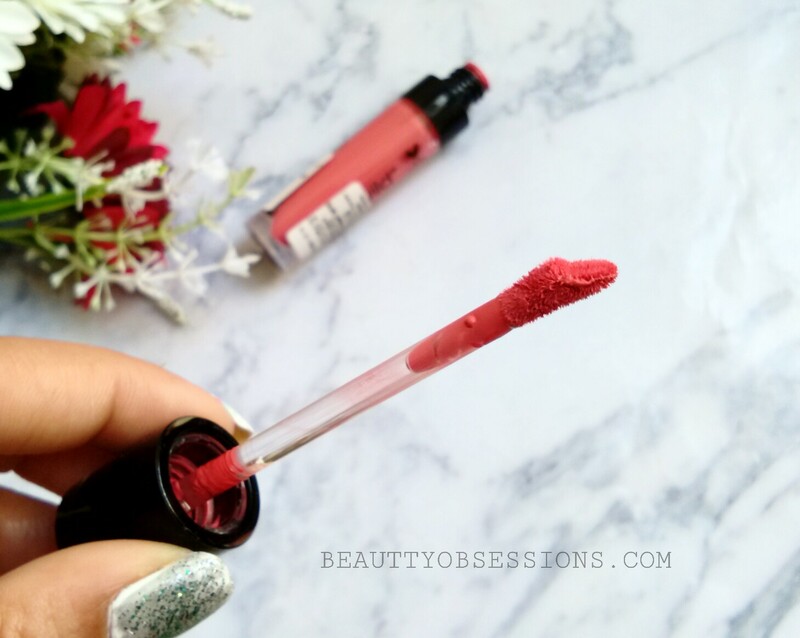 To be very honest it feels very weird immediately after applying on lips but after dries up it feels really good and the colour settles down to a better texture. I don't know if that is with each shades of this range but this particular shade has this issue. For a better finish and coverage, you have to first apply one swipe then wait few seconds to dried out that completely and after that apply a thin layer of second coat and you will get a proper and better finish.. Otherwise it will feel tacky on lips because of the colour only..
Pigmentation & Staying Ability - The shade is very pigmented in one swipe only but I prefer to swipe twice to bring the perfection. The shade lasts in my lips around 5 hours with snacks in between. It is completely waterproof .. I like the shade but not fully satisfied with the texture.. 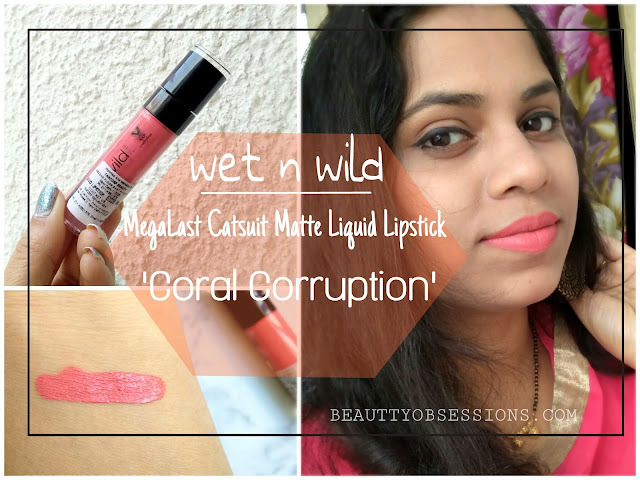 I would love to try out the darker shades of this range..
Have you tried any other shade from wet n wild catsuit matte liquid lipsticks range ? Share your view on comments below. Wow such a pretty shade it is. Looks very lovely on you. I loved this shade. It is such a refreshing colour. The lipstick looks good, do they have darker shades? 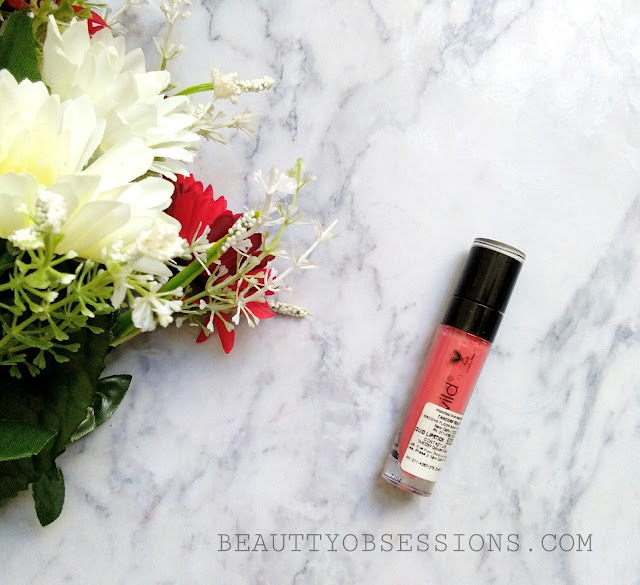 This lipsticks of wetnwild are just bomb at the price point. Love the formula. 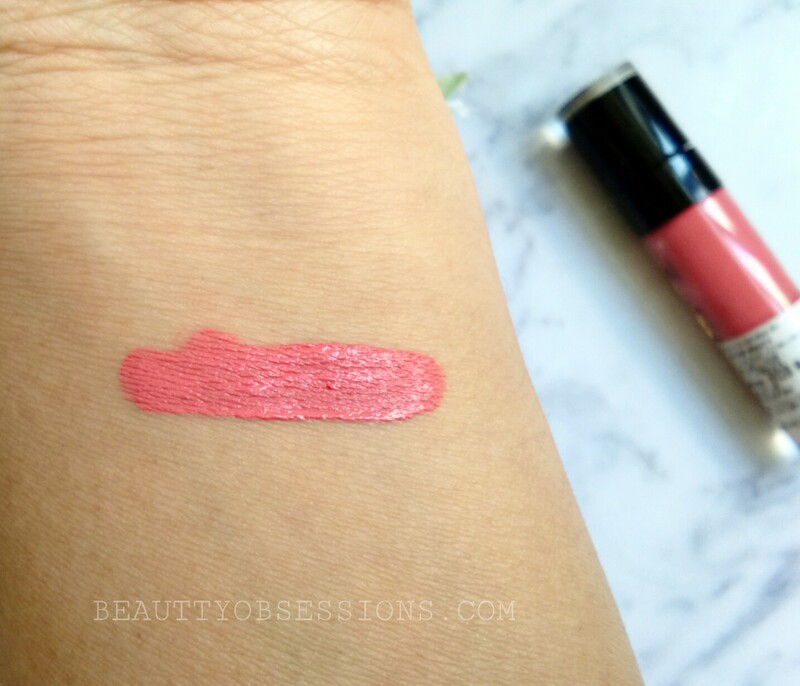 O have the shade Rebel Rose, this shade is gorgeous too. Well, this shade looks pretty good, thanks for sharing about this product! Love the shade of this matte lipstick and you look beautiful on it. I am going to check this brand. This is a new brand for me, wanted to know the details of it since you shared on Instagram. Thank you so much for this post dear! <3 I did makeup lesson by Lina Cameron this year, so I need to practice a lot to improve my skills. Hearing about my makeup course, my mother bought many items from U.S.A. She bought all of the shades from this collection. I really love them now. All of this shades are so gorgeous and they are must have. WNW have very beautiful shades in this range, with great pigmentation. They are not drying at all,which I love most about them and colors pay off 100%. 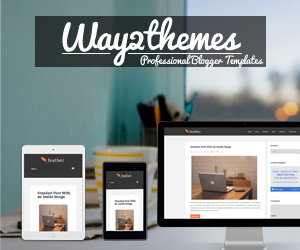 I will recommend them for sure, they are so reasonable as well!